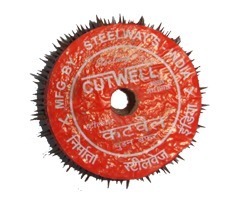 We are engaged in offering a quality approved range of Half Round Wood Rasp File. In order to keep pace with never ending demands of clients, our company offers Handle Second Cut File. Matching up with the ever increasing requirements of the customers, our company is engaged in providing Round Wood Rasp. These Half Round Rasp are used for wood work and on soft metals. The flat and the half round wood rasps have the same coarseness of teeth and the edges are of single cut file teeth. Available in all 3 cuts. Series of individual teeth which are formed by a single pointed tool. Produces a rough cut that is used primarily on wood, hooves, aluminium and lead. Designed for general use and best suited to softer materials such as wood, plastics, fillers, leather and lead. 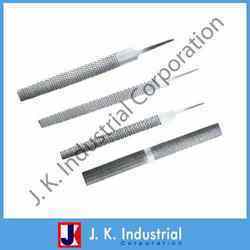 We provide our clients with a comprehensive range of Wood Rasp Half Round Files, which is light in weight, thus, easy to use. These are durable, anti-corrosive and mainly utilized in wood cutting industry. Manufactured using high-grade raw material and sophisticated technology, these are in line with prevailing quality standards. Wood Rasps, made in flat, and Hand shapes are for use on wood or soft metals. The Flat and Half Round Rasps have the same coarseness of teeth and the edges of these two types have single cut file teeth. Flat Half Round Square Triangular Slim Taper Wood Rasp. We provide all types of JK-Files.